It's been a crazy week around here and the days just slipped past me! It wouldn't be a Friday without linking up with April and Co. for another round of Five on Friday to celebrate the end of the week....so here we go! The past few days I've been working on baby Gray's dresser...and oh, Lordy have I made one million newbie mistakes! This is my first time giving a piece of furniture a make over and it has been quite the learning experience. 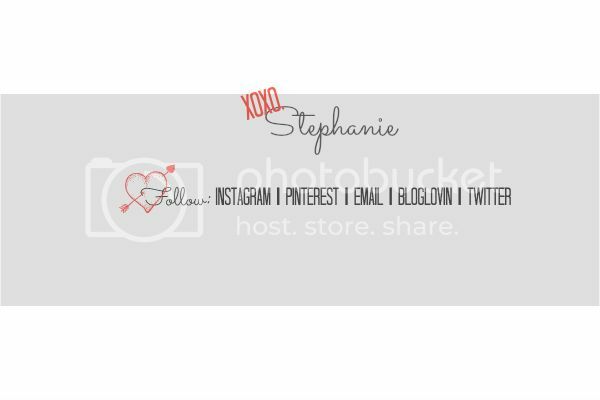 I think I'm finally happy with the result and will share all of my stumbles and re-do's with y'all on Monday. Until then, I'll be attempting to remove the navy paint from my nails, hair and ankles (?). This babe is really rocking my sleep world! Some nights I sleep really well, with the exception of my trips to the bathroom, and some nights those trips to the bathroom result in hours upon hours of laying awake thinking. It is the worst. The other morning Justin set his alarms (yes, plural) for 5am and then proceeded to hit snooze until 7am. Two entire hours of alarms going off and I was awake for every single one. And then of course I'm exhausted by 9am and have to nap to get through the day....days like that just seem like a lost cause of exhaustion, napping and trips to the bathroom. I'm guessing baby boy is getting me ready for his arrival! Anyone else excited that this show is back on for it's 10th Season?? I mean, I get its no Whale Wars, but I just love the drama. My friend Caroline and I used to watch it and she would always say "I wonder what it smells like there!". I can't watch anymore without thinking about what their rain gear, bait bags and cabins must smell like! Today is the first day in 4 days and the last day in the forceable forecast that we are hang a gorgeous sunny day. With that in mind, I'm going to be a good Mainer and head out and bask in the rays! Those itty bitty hats are the cutest thing! 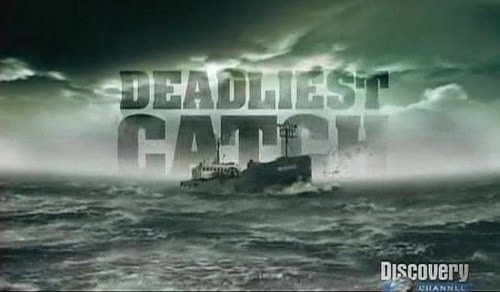 I'm so glad you mentioned Deadliest Catch, we love that show and I had no clue a new season was starting. Thanks for the heads up. Have a fabulous weekend! Excited to see the dresser redo! Those baby hats are so stinkin' cute!! I am the world's messiest painter, so I feel your pain. Nail polish remover works like a charm!! Just found your blog, so cute!! 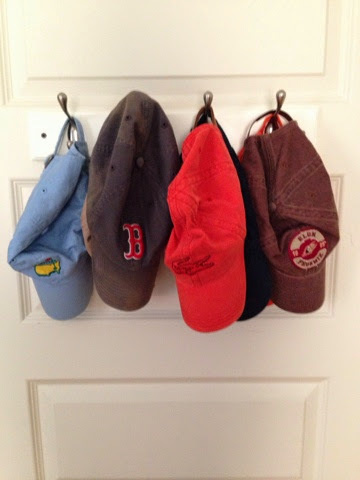 Loved the little hats on the back door, so sweet!! Oh the TV we used to watch together was the best! I think one of your proudest moments was when I used "prop fouler" in a real life sentence. Deadliest Catch is awesome this season but bring back the Cornelia Marie already and bless little Jake’s (Nortwestern) heart! UGH! Xoxo! Looks like Gray has more Clemson hats than Justin. Love it!! Can't wait to see the dresser redo! 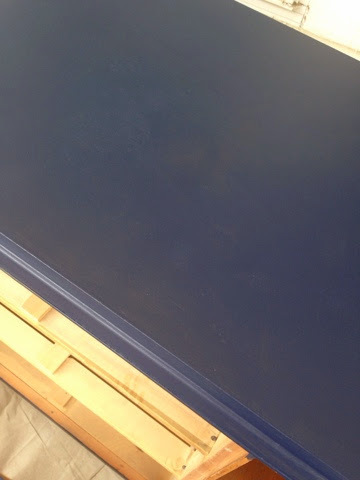 I always assign my husband to the painting tasks because he says I am sloppy. I just say he is more of a perfectionist than I am :) Have a wonderful sunny day! 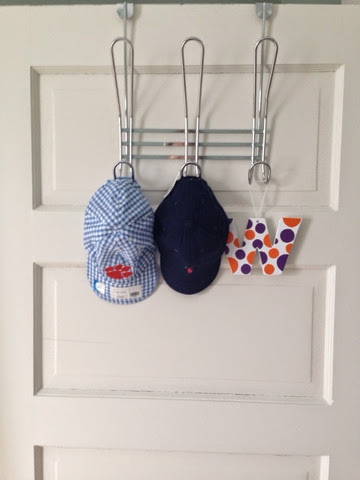 Umm little boy hats hanging on the door - to die! So cute! !